Gilgamesh research papers show the Sumerians were a complex and advanced civilization when other human societies struggled in primitive barbarism. Gilgamesh research papers show the Sumerians were a complex and advanced civilization when other human societies struggled in primitive barbarism. Their greatest contribution to history may be The Epic of Gilgamesh, proof that human beings developed refinement in the arts at the same time they developed writing itself. From Gilgamesh, the worldview and religion of the Sumerians can be learned, how they saw themselves in relation to their gods, animals and other people. and advises him “day and night, night and day, dance and be merry, feast and rejoice…for this too is the lot of man”. But such merry making takes place in the valley of the shadow of death and we are not ever very far from the fearful awareness of mortality in the poem. At the dawn of history, one city arose to power. In Uruk, mighty kings ruled over a bronze-making empire that first learned the secret of writing. In celebration of those mythic kings, an unknown Sumerian poet composed The Epic of Gilgamesh. Within this ancient epic, the story of the Sumerian’s relationship to the gods, to animals and to other people is revealed. If the Sumerians were to look around at the new civilizations that were emerging at the same time, the Egyptians, for example, they would have agreed with their epic hero who “met with none who could withstand his arms”. Gilgamesh was a great king for Uruk, even if her was lusty and arrogant. He built Uruk into a massive city, with ramparts, walls and the temple of Eanna. Even generations later, the poet marvels at these constructions. Eanna was the earliest part of Uruk and the sanctuary to their gods, Ishtar and Anu. The gods were central to Uruk’s royal houses, the earliest kings were sometimes said to be gods themselves (including Gilgamesh). It is important to note, however, that Gilgamesh was a man, showing that although the Sumerians worshipped their gods, they saw themselves as a great people. Most early civilizations were not that far removed from nature. 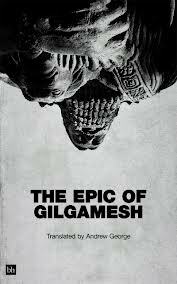 Enkidu comes to Uruk to be Gilgamesh’s equal. His body “was covered with matted hair like…the god of cattle”. Enkidu is a half-man/half-beast, the link between the natural world and civilization that Uruk and Gilgamesh represented. Hallo and Simpson point out that Syria was virtually “an equal partner” with Mesopotamia and Egypt during this period in history. However, another ancient epic details an unsuccessful siege of Uruk by Kish. Their arrogant and lusty Gilgamesh can best represent the Sumerians. The Egyptians raised religion to a prime place in their culture, and believed their kings to be gods. But they also borrowed much from the Sumerians. “Dynastic Egypt at a time from various stimuli from Mesopotamia”. The Sumerians must have looked down upon these people who adopted their culture and failed to raise up a hero as great as Gilgamesh. In The Epic of Gilgamesh, the gods intervene on numerous occasions. Unlike other myths, like the Greeks or the Hebrews, the Sumerian hero dares to stand up to the gods. Ishtar sends the Bull of Heaven to destroy Gilgamesh because he dared to insult her. But Gilgamesh proves too strong even for the Bull of Heaven (although Enkidu dies). The Sumerians of Uruk were a fortress of strength in the middle of the world. At their height, they were the global superpower. Their gods and heroes are mighty and terrible, a self-reflection of their own culture. Gilgamesh was the Sumerian people’s best representative, with “unexampled supremacy over the people”. Paper Masters writes custom research papers on Gilgamesh and explicate the Epic of Gilgamesh clearly and plagiarism free.